The American white pelican (Pelecanus erythrorhynchos)breeds in interior North America, moving south and to the coasts, as far as Central America and South America, in winter. 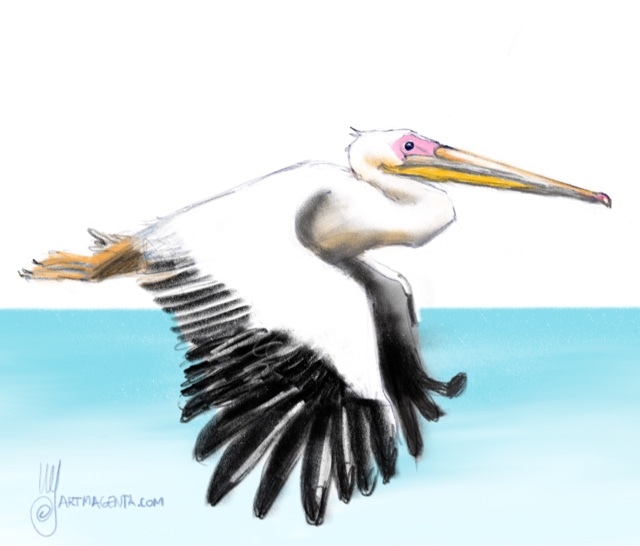 The great white pelican (Pelecanus onocrotalus) also known as the eastern white pelican, rosy pelican or white pelican breeds from southeastern Europe through Asia and in Africa in swamps and shallow lakes. The Dalmatian Pelican (Pelecanus crispus) is a massive member of the pelican family. It breeds from southeastern Europe to India and China in swamps and shallow lakes. This huge bird is the largest of the pelicans and one of the largest living bird species. The brown pelican (Pelecanus occidentalis) is a small pelican found in the Americas. It is one of the best known and most prominent birds found in the coastal areas of the southern and western United States.